University of Georgia Press, 9780820350158, 168pp. For her collection Lost Wax, Jericho Parms borrows her title from a casting method used by sculptors. As such, these eighteen essays, centered on art and memory, offer an investigation into form and content and the language of innocence, experience, and loss. Four sections (each borrowing names from the sculptures of Degas, Bernini, and Rodin) frame a series of meditations that consider the boundaries of the discernible world and the extremes of the body and the self. Here Parms draws heavily on memories of a Bronx upbringing in the 1980s and1990s; explorations in Spain, Portugal, Ireland, and the American West; the struggle to comprehend race, love, family, madness, and nostalgia; and the unending influence of art, poetry, and music. Written largely within the galleries of the Metropolitan Museum of Art, Lost Wax is an inquiry into the ways we curate memory and human experience despite the limits of observation and language. 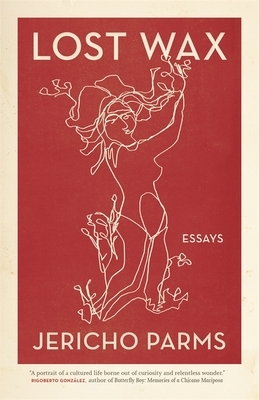 In these essays, Parms exhibits and examines her greatest obsessions: how to describe the surface of marble or bronze; how to embrace the necessary complexities of identity, stillness and movement, life and death--how to be young and alive.